By day he is a mild-mannered college lecturer and loving husband. By night he unwittingly transforms into a foul-mouthed wife beater. ‘It’s like being married to Jekyll and Hyde,’ said Linda Howley, who fears her husband Mike could kill her because of a rare sleep disorder that makes him lose control and act out violent dreams. ‘His condition makes him have terrifying dreams that his family are being attacked and he lashes out to try to protect us. 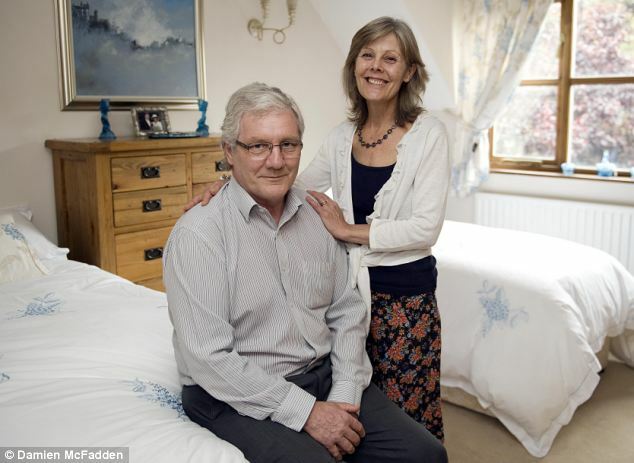 He initially blamed stress and broken sleep caused by his new job as head of English at a London college of further education that involved a 70-mile commute from the Northamptonshire home he shares with his wife and their 16-year-old son, Zac.